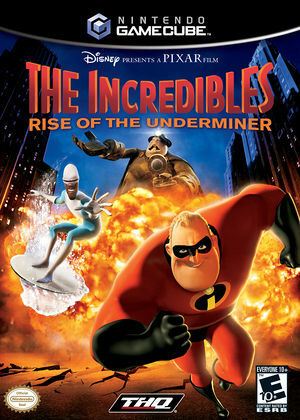 The Incredibles: Rise of the Underminer is a video game and sequel to the animated film The Incredibles. It features Mr. Incredible and Frozone fighting The Underminer's legion of robot minions. The game features appearances by the rest of the Incredibles, though they are not playable characters. The graph below charts the compatibility with The Incredibles: Rise of the Underminer since Dolphin's 2.0 release, listing revisions only where a compatibility change occurred. This page was last edited on 18 March 2019, at 08:25.